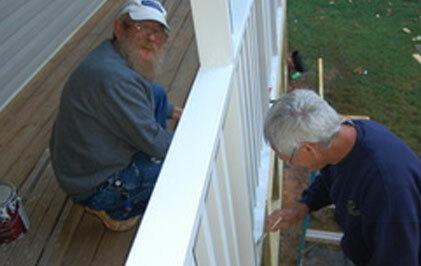 Offers a professional approach to the home building and home improvement experience. Whether adding a deck, rennovating a kitchen, or starting anew, Silvers Construction's quality custom building and rennovation ensures that our clients get the most out of their homes. We now offer drafting and design services which allow our clients to experience the highest quality service in custom homes from the first consultation to move-in day! Call today to increase the value of your home! The dynamic duo have worked together to provide quality custom homes to clients across the Upstate. Rick's son Tyler grew up in the industry, has recently graduated from Clemson with a BA in Architecture and is currently pursuing a graduate degree in Architecture at Clemson University. We recognize that the best way for construction of any kind to serve its owners is to be done correctly the first time. To be successful, Silvers Construction works with highly skilled professionals and utilizes small crew sizes that foster detail oriented work. We see time and time again an unnecessary financial devastation brought about by poor craftsmanship; people who cut corners and work too quickly. At Silvers Construction, we take the time to do things right, the first time. We work directly with our clients to ensure that your new home or renovation fully meets your needs. Because our work is client based, all of our work is fully customizable; we never employ run of the mill operations or produce cookie cutter structures. With the recent addition of our Design+Build program, Silvers Construction has expanded the limits of client based customization. Now, our clients have a hand in the process from step one, helping our clients more fully connect with their new spaces. Our team is proactive in finding solutions for our clients that best achieve their goals, working daily to ensure that our clients receive nothing but the highest quality home, renovation, or addition. Before starting a project, Silvers Construction considers the needs of the client, the space's ease of use, and the project's short and long-term costs; ensuring that your new space will leave a long-term impression on your guests rather than your wallet.